Recently I surveyed 1,500 marketers who actively run ad campaigns. 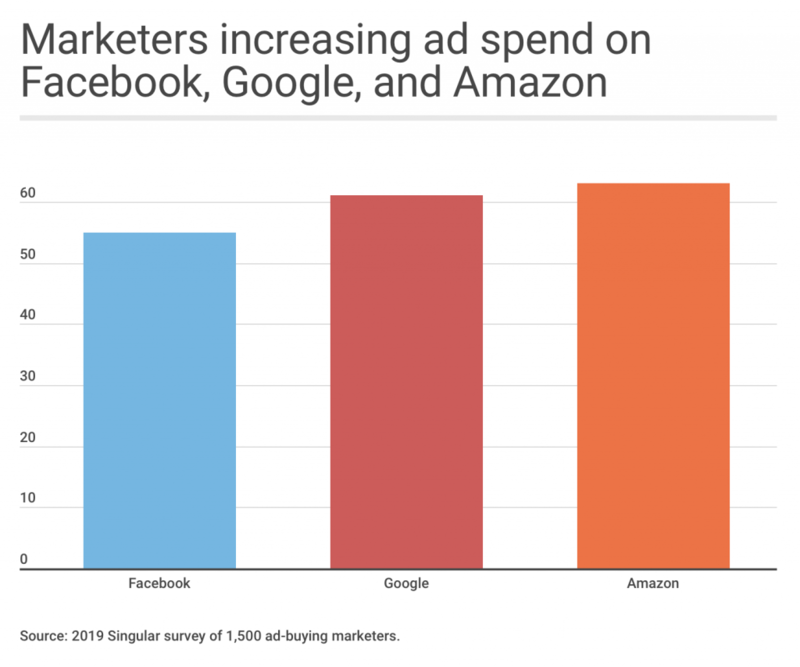 It’s no shock that marketers are looking more and more to Amazon as a media source for advertising — especially those in consumer goods and retail. Both Facebook and Google will be growing significantly as well. Amazon, however, as the newer competitor in the advertising world, will grow the most. In fact, 63% of marketers who run ad campaigns are planning to increase their spending on Amazon.